Near Bozeman, Yellowstone National Park is one of the most popular US parks, comprised of two million stunning wilderness acres featuring hot springs, geysers, mud-pots, rivers, waterfalls, lakes and wildlife. Since wolf re-introduction in 1996, we've focused on providing great viewing experiences for their packs, and all wildlife in the Park. 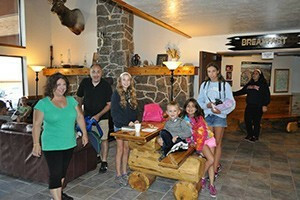 See our rates for day trips & packages. Watch wolves & other wildlife with professional biologist/guide on private tour. Full & multi-day packages w/lodging available. Experience a lifetime of memories. Yellowstone is a big place with lots of areas to discover. Why not capture your memories from the inside of a comfortable, yet reliable Jeep Wrangler from RME. Discover the magic of the world’s first national park! 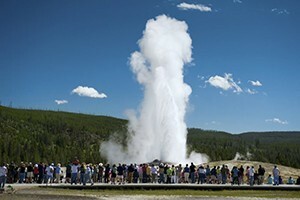 Experience this extraordinary American wonder, full of geysers, hot springs, abundant wildlife and lots to see and do. Let us help you plan 3, 5 or 7-day itineraries. 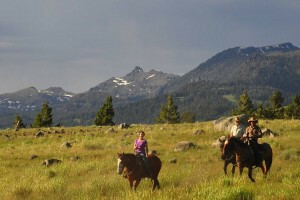 From rafting trips, horseback rides and cowboy cookouts to Park tours, guided hikes, wildlife safaris & overnight campouts. Anyone can take a park map at the entrance and go off trail. But only the best guides will make the experience magical. That is our promise, to make your trip memorable. 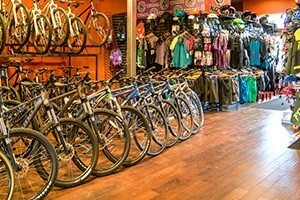 Before heading to Big Sky or Yellowstone Park, stop in either of the two stores for Grizzly Outfitters, who provide gear and rentals for everything outdoors. 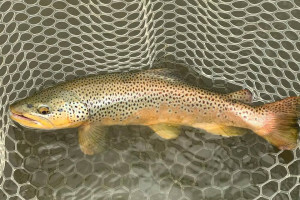 Always dreamed of fly fishing Yellowstone? We're here to make those dreams come true. Amazing angling awaits for all ages and abilities. 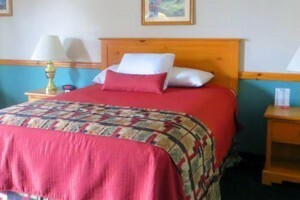 Located a mile from the Gardiner entrance of Yellowstone, you'll love our value for lodging, breakfast, indoor pool and custom hand-made furnishings. Click to see our offer. Whether you prefer a pre-planned hiking itinerary, or want us to build a custom package, you'll always enjoy the wildlife, geysers and spectacular scenery in Yellowstone Park. Just 90 minutes to either the North or West entrances to the Park, we feature multiple room types, hot tubs & pools, breakfast buffet, nightly dining nearby & airport shuttle. 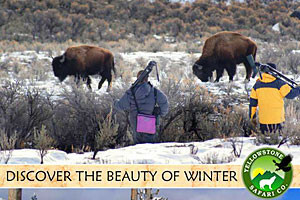 Providing private guided tours of Yellowstone and Grand Teton National Parks. See how my 20+ years as a YNP park ranger makes a difference in your park experience. Budget-priced room, free breakfast, in-room microwave and fridge, some pets welcome, ample parking, adjacent to coffee hut and dining options. Near Bozeman, Yellowstone National Park is America's first national park established in 1872. YNP hosts an impressive variety of wildlife including grizzly bears, wolves, bison, and elk. 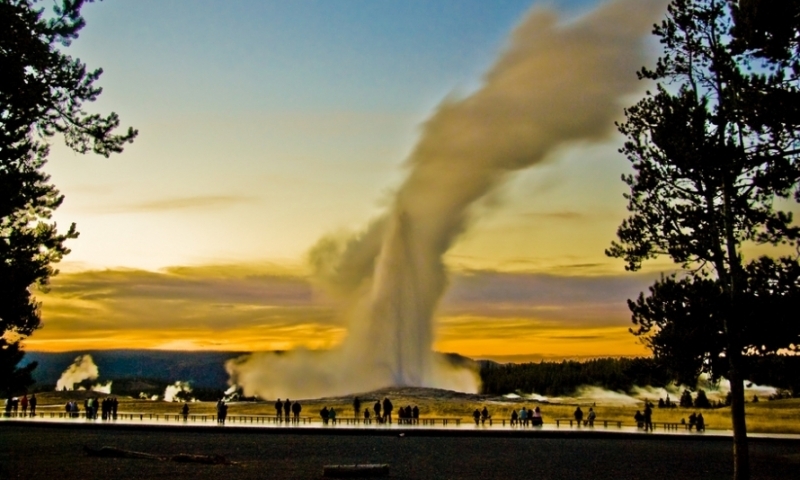 Geothermal attractions include Old Faithful and 300 other geysers and hot springs. Dress for mountain weather, prepare for wildlife encounters, and check with Visitor Centers/Ranger Stations for trail conditions/closures. Yellowstone National Park is America's first national park established in 1872. Spanning three states (Wyoming, Montana and Idaho), YNP is a major outdoor recreation destination attracting more than 3 million visitors each year. YNP hosts an impressive variety of wildlife including grizzly bears, wolves, bison, and elk. Other geothermal attractions include Old Faithful and many of the world's most extraordinary geysers and hot springs, the Grand Canyon of the Yellowstone, and Yellowstone Lake. From Bozeman, Yellowstone is about 90 miles south. Take US HWY I-91 to West Yellowstone and the YNP West entrance. Yellowstone National Park is open every day, all year. Temperatures vary widely in the park, resting mostly at or above 7,500 feet. Highs reach approximately 90 degrees in summer and 45 below zero in winter. Most Park entrances (except the North and North East) close in November for road maintenance and also in late March/early April to prepare roads for summer traffic. Internal park roads are only open to over-snow transportation during winter. YNP has more than 300 geysers. Check out famous Old Faithful, erupting about every hour and five minutes, as well as other geysers in the Upper Geyser Basin like Riverside, Grand and Beehive. Morning Glory Pool is famous for its incredible colors resembling the morning glory flower. In the Lower Geyser Basin, visit the Fountain Paint Pots to see sputtering colored mud. Watch for black bears, grizzlies, wolves, coyotes, antelope, moose, eagles, and buffalo, elk, big horn sheep, and trumpeter swans throughout YNP. Reserve a YNP camping site and get more information and camping regulations from Xanterra Parks and Resorts, operating campgrounds at Bridge Bay, Canyon, Fishing Bridge RV Park, Grant Village, and Madison. 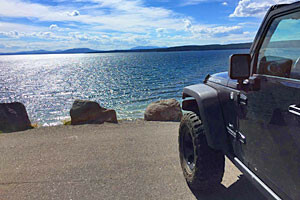 Other campgrounds include Indian Creek, Lewis Lake, Mammoth, Norris, Pebble Creek, Slough Creek, and Tower Falls and can be reserved on a first come first serve basis. Located south of Bozeman at the junction of US Highway 1-91/287 and US Highway 20, the rustic town of West Yellowstone leads to the YNP west entrance and approximately 180 miles of groomed snowmobile trails. Entrance fees to YNP start at $15 per snowmobile/day and riders are encouraged to contact Yellowstone National Park online?or via phone at (307) 344-2107 for more information. Popular snow coach tours travel through Old Faithful, Yellowstone Grand Canyon, and the Mammoth Hot Springs areas and cost about $100 to $255 per person, providing a fun, warm, safe transportation alternative. Visit Island Park, Idaho, on Hwy 20 between Idaho Falls and West Yellowstone. A trip to Grand Teton National Park is an easy addition to your Yellowstone area vacation. 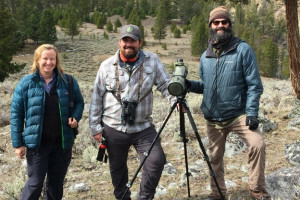 Based in Bozeman, Montana, the Greater Yellowstone Coalition strives to protect the land, water, and wildlife of the Greater Yellowstone Ecosystem. 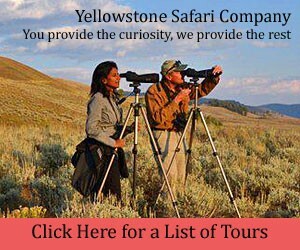 Official site for Yellowstone National Park. 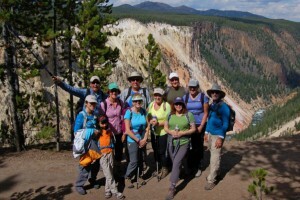 Plan a visit to Yellowstone National Park while staying in Bozeman.